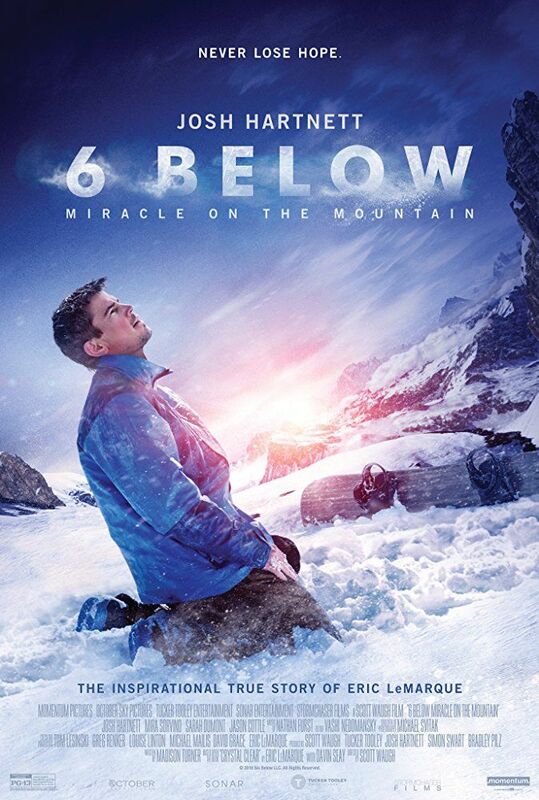 6 Below: Miracle on the Mountain is an upcoming American adventure drama film directed by Scott Waugh and written by Madison Turner, based on the non-fiction book Crystal Clear by Eric LeMarque and Davin Seay. It stars Josh Hartnett, Mira Sorvino, Sarah Dumont and Jason Cottle, and tells the true story of former professional hockey player Eric LeMarque, who finds himself stranded in the High Sierras during a fierce snowstorm and must use his wit and willpower to survive. Read more on Wikipedia.